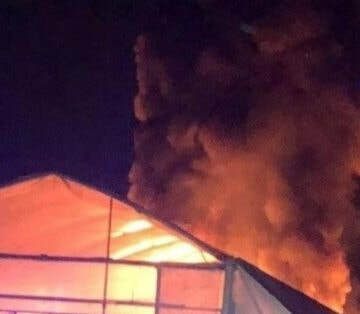 Israeli daily Haaretz said the army initially believed the greenhouse was accidentally burnt by the soldiers, who were firing at Palestinian protesters across the perimeter fence. The incident took place in Netiv HaAsara colony, in the Hof Ashkelon Regional Council of Settlements, near the Gaza Strip. Also on Friday, Dr. Ashraf al-Qedra, the spokesperson of the Health Ministry in Gaza, has reported that a young man, identified as Rami Wael Ishaq Qahman, 28, was killed by Israeli army fire, east of Rafah, in the southern part of the coastal region, after the soldiers shot him with a live round in the neck. Dr. al-Qedra also confirmed that at least 37 Palestinians were injured with Israeli live ammunition, including six children, nine women and one female paramedic, identified as Falasteen Qdeih, who was shot in the leg.